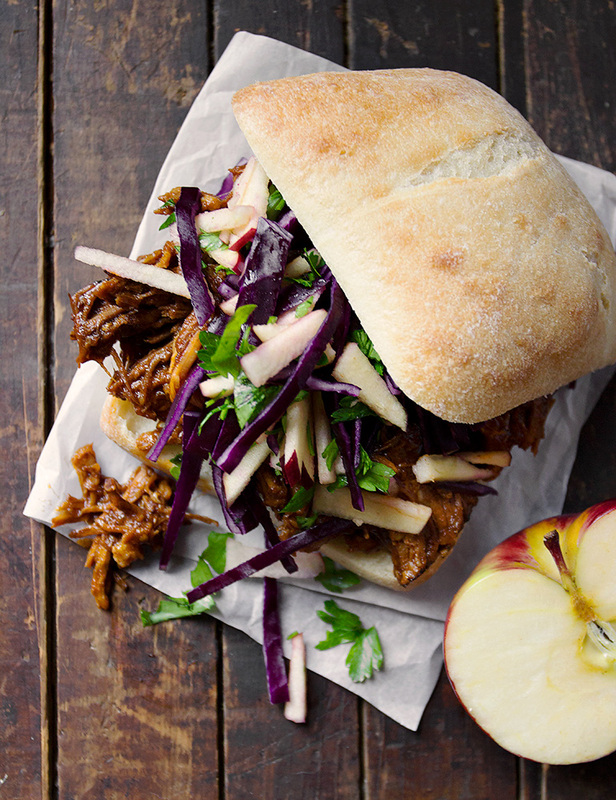 With delicious pork cooked low and slow, these Apple Pulled Pork Sandwiches are full of flavour and hearty. Served on a crusty roll and topped with chopped cabbage and apple, they are perfect for feeding a group! Pulled pork is always a favourite in my household. It’s a great dish to cook up on a cold winter day and since it makes a lot, it’s perfect for feeding a group, too. The smell is wonderful as it cooks and it doesn’t need much tending. When ready, simply shred and enjoy! 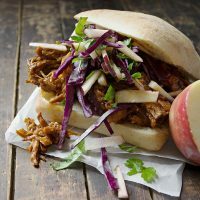 I love it in these pulled pork sandwiches, with a crusty bun and a simple topping of shredded cabbage and apple. And speaking of apple, it’s the secret ingredient in my pulled pork as well. 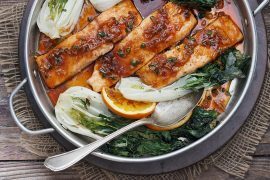 It disappears in to the sauce as it cooks, but lends an ever-so-subtle fruity note to the sauce. It’s a perfect complement to the other flavours in the sauce. Any apple will do. Grab a nice sized one, peel, core and dice and toss it in. Apples find their way in to a lot of my savoury dishes. I love the way they complement the flavours of meat, particularly pork and chicken. So don’t be afraid to experiment with your dishes and add a bit of apple! This pulled pork can be cooked on the stove-top in a heavy Dutch oven pot or in a slow cooker. On the stove-top it should take 4 hours from start to finish. In the slow cooker, it would be about 4 hours on high or 7 or 8 hours if cooked on low. For the slow cooker, be sure to simmer a bit at the end with the lid off to thicken the sauce. 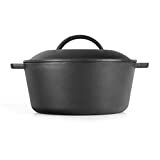 A Dutch oven is simply a large, heavy-bottomed pot. While often made of enamelled cast iron, it can be also be just cast iron other materials. 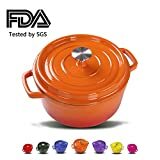 It is intended to be used for long duration, low and slow cooking. The heavy bottom ensures that the food you’re cooking doesn’t scorch easily. It will always come with a lid, for braising and will be both stove-top and oven safe to high temperatures. If you don’t yet have a Dutch oven, you’ll find they are an economical and useful addition to your kitchen. You don’t need to spend a lot for a lovely pot! 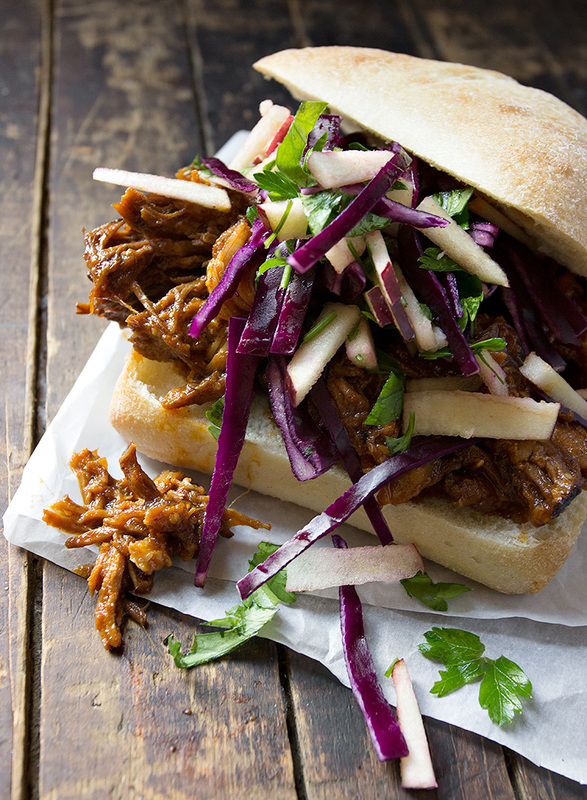 Apple flavoured BBQ pulled pork sandwiches, served on crusty rolls with apple slaw. Great Fall eating! Place pork shoulder in a large, heavy bottomed Dutch oven or pot on the stove-top. If necessary, cut the pork in to a couple of large chunks to fit. Add all the rest of the ingredients to the pot. Cover and turn burner on to medium. After 10-15 minutes, stir the mixture well and flip the pork over. Cover pot, reduce heat to medium-low and allow to cook for 3-4 hours, flipping pork and stirring several times during that period. For the Slow cooker, cook on high for about 4-5 hours or on low for 7-8 hours. If the roast is exposed on the top, I like to open the lid a couple of times during cooking and flip it over, but it isn’t really necessary if it’s not convenient. Cook for 20-30 minutes at the end with the lid off to thicken the sauce. When pork is tender enough to pull apart with a fork, remove the pork to a rimmed baking sheet. Remove and discard any bone. Using two forks, shred the pork, discarding any fatty pieces. Return the shredded meat to the pot with the sauce and stir well. Allow to simmer over low heat for about 30 minutes, or until the sauce thickened. For the topping, combine and cabbage, apple and fresh parsley in a bowl. Toss to combine. Hi Jennifer! I’m new to your site and am in LOVE! I just made your soft cheese bread, which looks picture perfect and is currently cooling, smelling absolutely heavenly. Dumb question: if I’m making it in the slow cooker, do I add the peppers and apples and everything in? I’ve had peppers turn out kind of mushy in the slow cooker before, would you recommend adding them maybe halfway through? Hi Marianne and thanks so much :) For this recipe, both the peppers and the apple are intended to disappear in to the sauce, acting more to flavour the sauce than to remain chunky and visible. So no need to add later at all. Enjoy! I have been looking for a good recipe for pulled pork . I’m getting familiar with my new slow cooker and this looks like a perfect recipe. Thank you! It looks fantastic! I love the fresh with the warm comfort pork. I think I’ll make this for my kids over the holidays! Thanks Chris and your kids would love this! Oh, this is just heavenly, Jennifer! 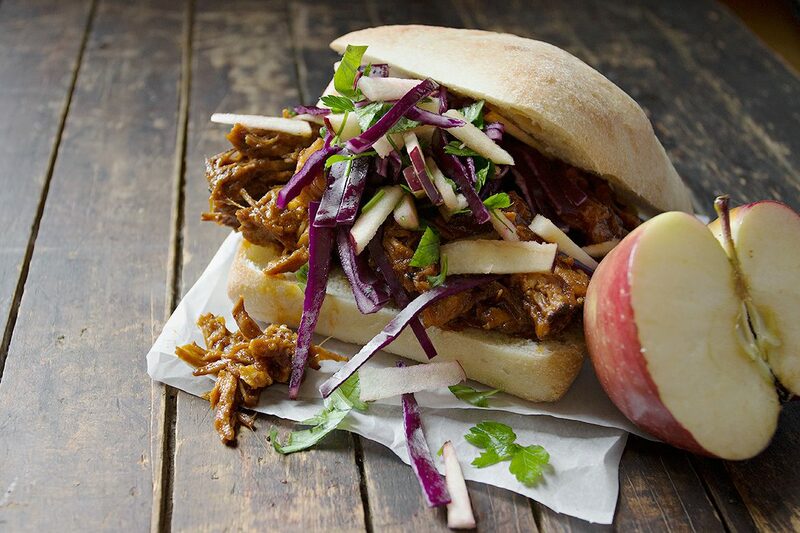 I love apples with pork and that coleslaw adds the perfect crunchy texture. Your photos are stunning and so colourful. Thanks so much, Robyn :) Pulled pork is one of my favourites! Oh my goodness food graciousness, JENNIFER! This pulled pork looks absolutely succulent and amazing!!! I love the apple flavor going on here! I may stack my sandwich so high I need to unhinge my jaw to eat it! SO GOOD! Cheers! On a cold winter day, this is exactly the kind of lunch I crave! Love the combination of tender slow-cooked pork with the fresh crunch of cabbage and apple. Divine! I’m plugging in my slow cooker right now, this gorgeous sandwich is almost too easy to be true! 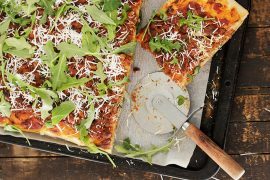 I’ve been looking for a great recipe to serve at our monthly family Sunday supper. 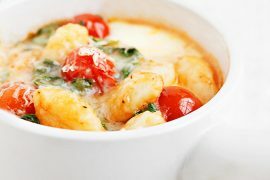 This looks delicious and easy too. I love the flavor combination. Apples are amazing in so many recipes. Thanks Tricia and yes, perfect to feed a crowd! This is my favourite pulled pork recipe. Lots of flavour and super sauce, the way I like it :) You can actually make a “slaw” for the topping, but I found that the purple cabbage turned the apples purple when moisture was added to the mix, which was a bit too colourful. Green cabbage would be better for a classic slaw topping.